An Ofsted report into Coventry children’s services has found it “requires improvement to be good”. Inspectors spent nearly a month evaluating the services, which were rated inadequate in 2014. They praised the “intense focus” of council leaders over the past 12 months but said improvements are “not yet fully embedded”. Council Leader George Duggins said it was “the start of our journey to a ‘good’ rating”. Children’s services were branded “inadequate” in 2014 in the wake of the death of four-year-old Daniel Pelka who died after being starved and abused by his mother and her boyfriend. In 2016, Ofsted said children were still at “continuing” or “increased risk”. While the latest report shows services are getting better, inspectors say there is room for improvement. 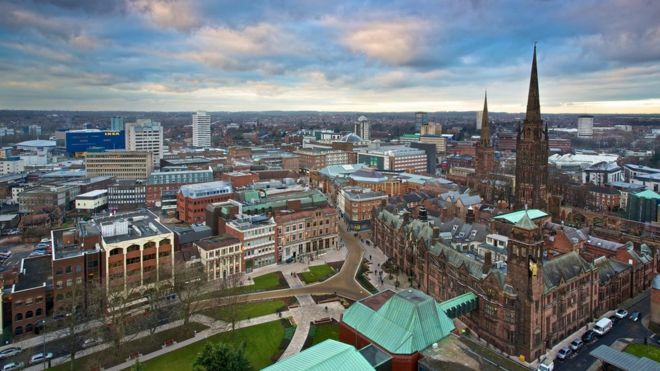 Children are waiting too long for care services and a shortage of foster carers in Coventry means “more children than the authority would wish” have to live outside the local authority boundary. Staff turnover is high and caseloads are heavy, the report found. The majority of care leavers are, however, well looked after and have positive maintained relationships with personal advisers, rating this as good. Inspectors concluded “the local authority is not yet providing good enough services for all children in Coventry”. Councillor Ed Ruane said: “The Ofsted report tells us what we already know – that we still have a long way to go.